Recessed Electrical Outlets. Lost the Dangling Cords.- Armchair Builder :: Blog :: Build, renovate, & repair your own home. Save money as an owner builder. Are you familiar with recessed electrical outlets? 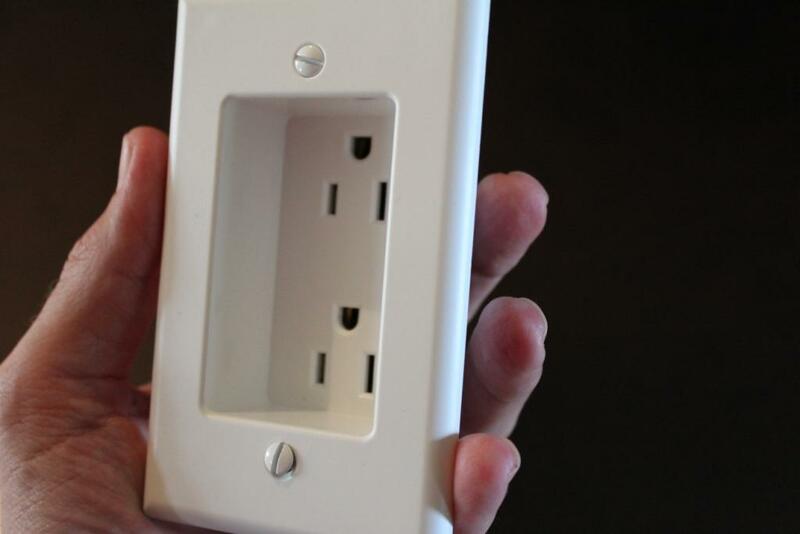 These little guys help conceal the plugs in your home for everything from lamps to wall mounted TV’s. Wherever you need power but have little clearance, recessed electrical outlets can help. Where Are Recessed Electrical Outlets Used? 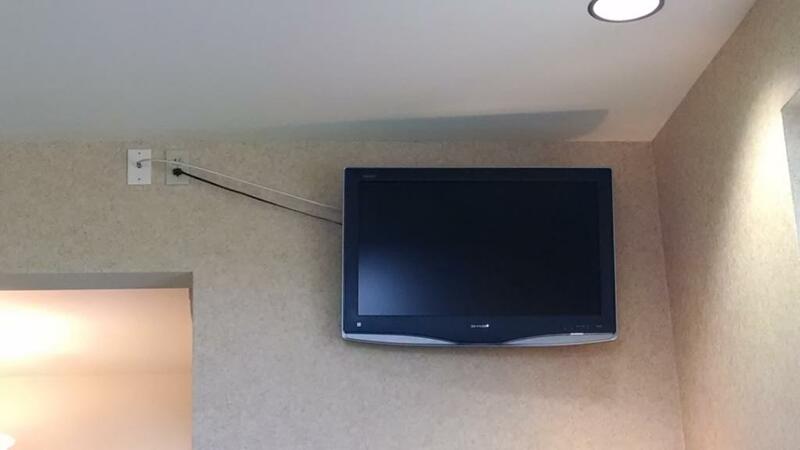 As you can see in the photo above, many people haven’t figured out a good way to get power behind a TV that is mounted closely to a wall. So instead of using recessed electrical outlets, they have chosen to place the outlet and cable off to the side or below the TV. This works, but it looks a little messy. Another great place to install recessed electrical outlets are behind wall mounted digital photo frames. Digital photo frames are a great way to display all of your pictures in one prominent place without cluttering up an entire wall. But you need to get power to the frame. The best way to do this is with a recessed electrical outlet placed directly behind the frame. This keeps the dangling cords to a minimum. So is there a special electrical box required for these? No. Recessed electrical outlets will fit in any standard electrical box. So, if you already have an outlet where you need it, just replace the standard plug with the new recessed version. We purchased the unit in the video below for less than ten bucks at our local home improvement store. If you are building a new home, you may be able to significantly reduce this cost with a contractor pack. Do you have a dresser, entertainment center or other piece of furniture that can’t be pushed up against the wall because of the electrical plugs behind it? Or maybe you have a computer monitor mounted on the wall but still have a dangling cord for power? These are two more great uses for recessed electrical outlets. Check out the Armchair Builder video below for more details.